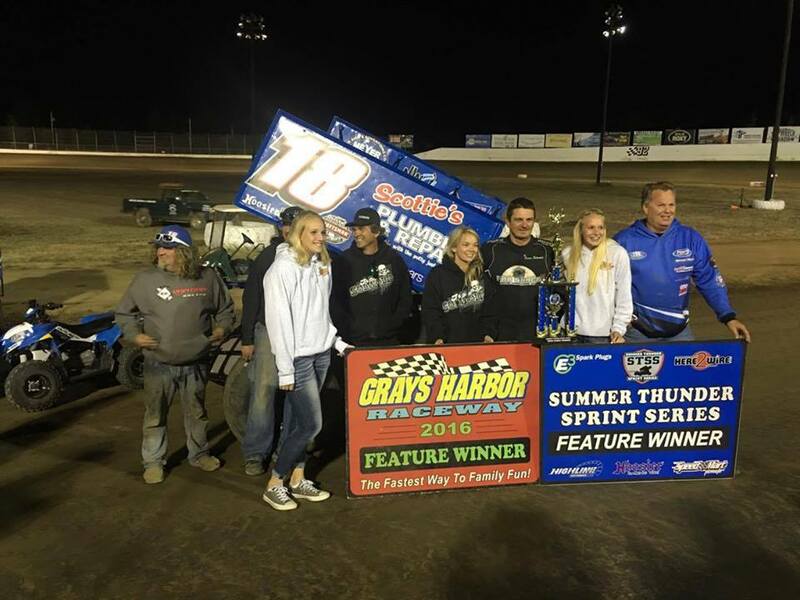 "After winning on opening night at the Skagit Speedway, Watertown, Connecticut�s David Gravel returned on Saturday with confidence and raced to an entertaining late-race victory for the second evening in a row with the World of Outlaws Craftsman� Sprint Car Series." The opener on Friday saw Gravel take the win with a final corner pass thriller, and then on Saturday he would be able to take advantage of heavy lapped traffic with just six-laps remaining, taking the lead that he would never relinquish. Friday would see the Skagit Speedway long running track record be broken by Shane Stewart with a 10.697. Jason passed Travis Rilat for second out of turn three on lap four. Jason would inherit the lead as the caution flag flew on lap six. The restart saw Solwold quickly pull out front as Rilat would look to chase him down. Trey Starks moved into the second spot and would slowly catch up with Jason, but Jason would pull away from Trey after the final caution on lap 22 and go on to pick up the win in the Shaylen Raye Motorsports #18. Trey would follow in second in the Starks Racing #55 and in third would be Evan Margeson in the Margeson #11M. Heats would be won by Margeson, Robbie Price, Cam Smith and Reece Goetz. Chase Goetz would set fast time.